Short Sale. 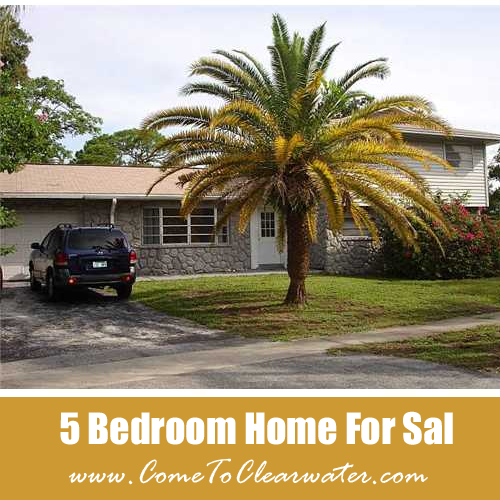 Great opportunity to own a large 5 bedroom Clearwater FL home for just $105,000. This tri-level house has tons of potential! Recent improvements include air conditioning and ductwork and newer roof. The home also includes two living areas; a formal living room along with a separate family room with a woodburning fireplace. TLC will make this house an exceptional property.